Last year I got a cocktail making set from Taste Cocktails with all the ingredients to make a Manhattan – one of Joe’s favourite man cocktails! Heavy on the bourbon and the vermouth with nothing more than a dash of bitters and a cherry to wash them down with The Manhattan is a stroooong cocktail and quite frankly a bit much for me. It’s one of those drinks I really want to like, but it’s just not happening…so I got experimenting! 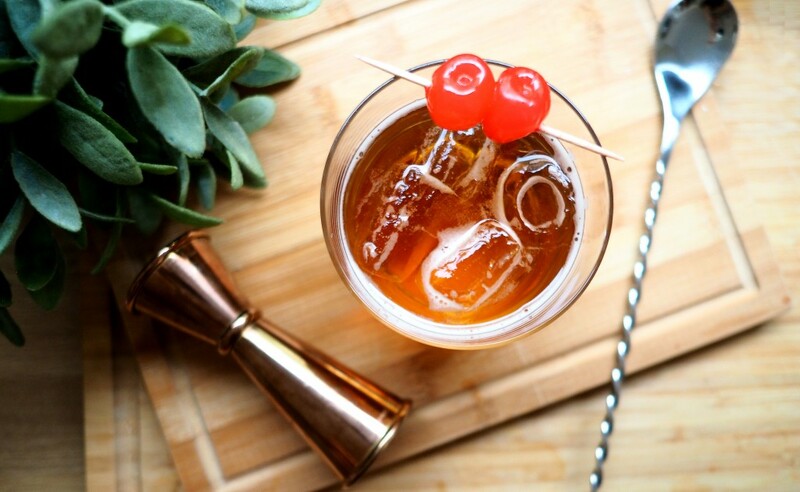 Introducing the Lady Bourbon – my longer and more drinkable version of a Manhattan that will convert any bourbon lovers or haters around the globe! 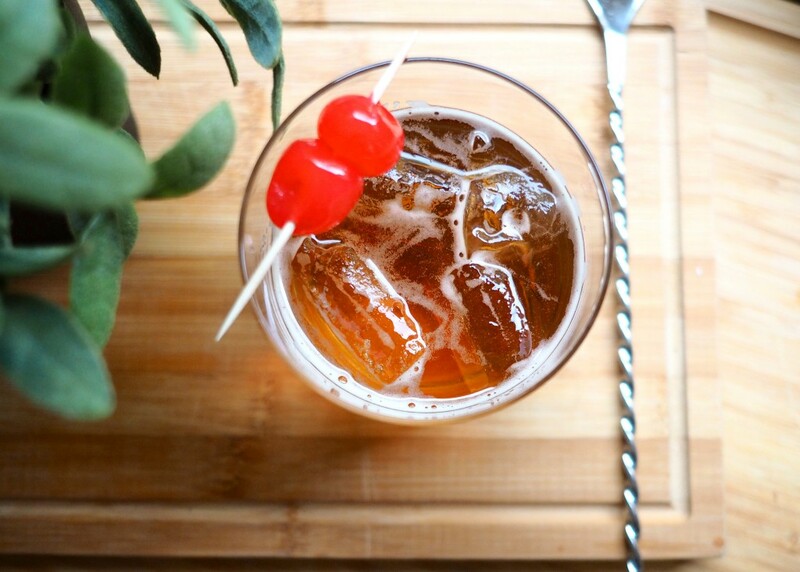 Pop in a couple of cherries and enjoy those booze soaked bad boys at the end! 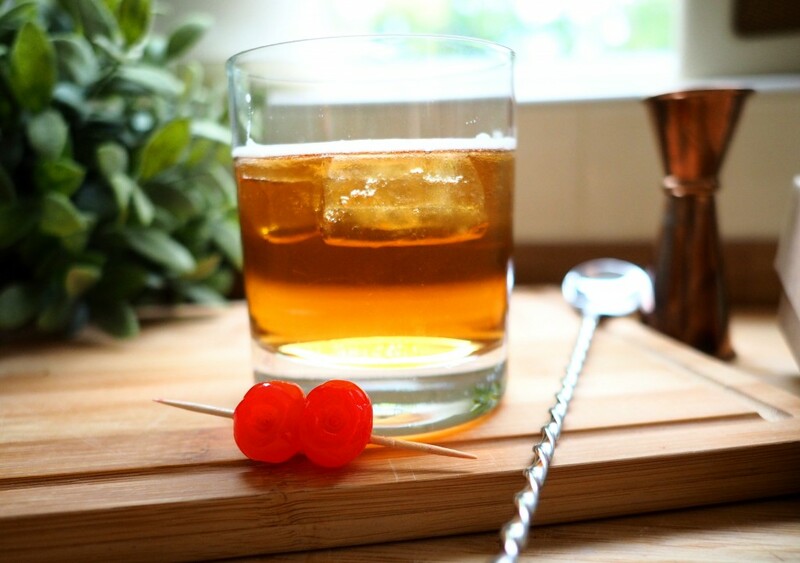 What you’re left with is a strong but more drinkable bourbon cocktail with a gentle ginger spice, sweetness from the cherries and a good old hit of booze. It’s a lot lighter than your traditional Manhattan and with the ice I think it makes a lovely summer BBQ drink or warming wintery toddy sipped slowly by the fire – either way as my dad used to say “It’ll put hairs on your chest!”. 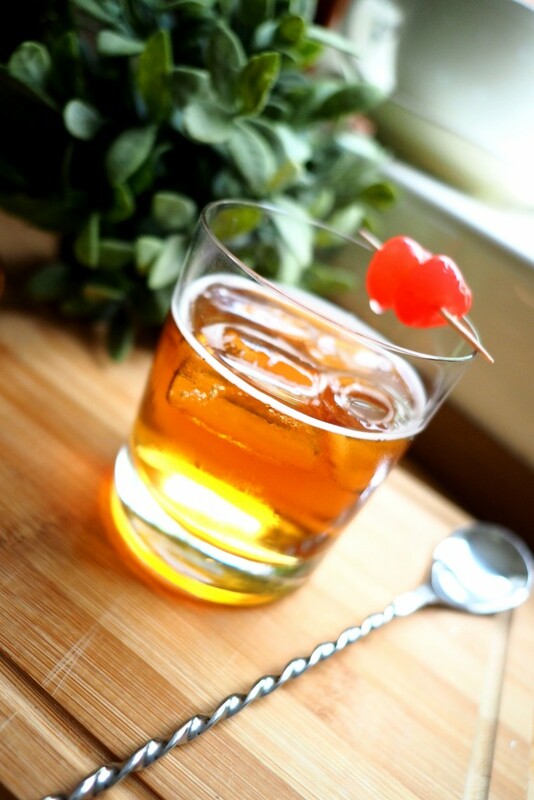 Don’t forget to tweet me a picture @xameliax if you give my Bourbon Lady cocktail a go! xameliax is a British Lifestyle Blog and with a cup half full attitude! Join us for articles on the latest beauty products, inspirational travel, delicious food & drink, wearable fashion, life-friendly fitness and more! Get new blogs by email! Enter your email address and subscribe to xameliax to get new posts straight to your inbox! Get My FREE Lifestyle Magazine!